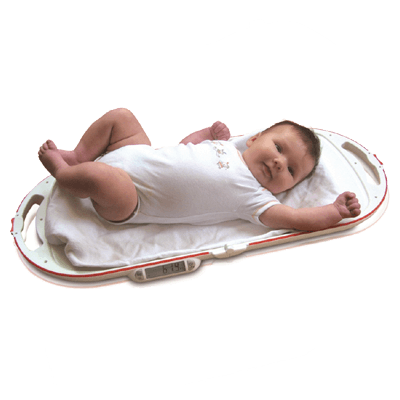 Product information "Baby scale SP 8320"
The SP 8320 is a mobile baby scale for the determination of the body weight of infants. 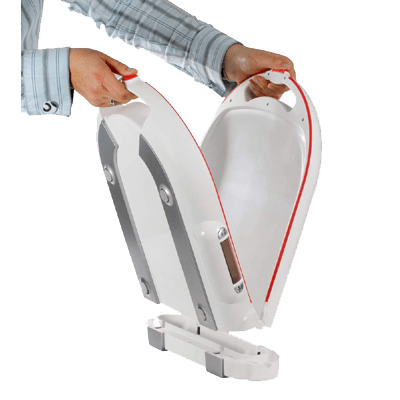 As the first baby scale with practical folding function, it can be easily reduced to half their length and impresses with its low weight. The small footprint and the low weight predestine these baby scales for midwives and pharmacies. 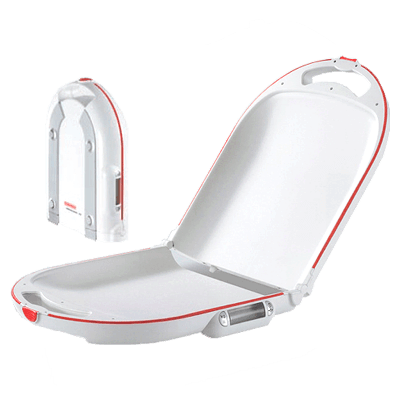 The measurement is performed in 10 g steps to guarantee optimal control of the development and food intake..
Due to the folding feature and integrated carrying handle as well as a successful design in the form of a beauty case it is very handy and easy to carry. 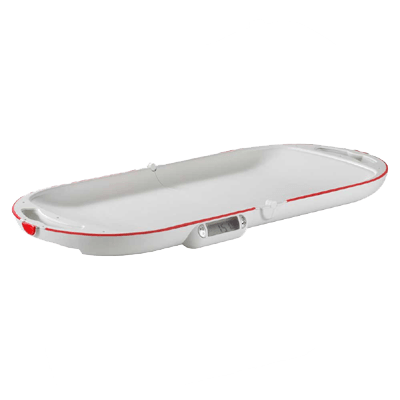 The optional carrying case ensures an easy transportation of the scale. The exact weight determination is made by an eight-point weighing. 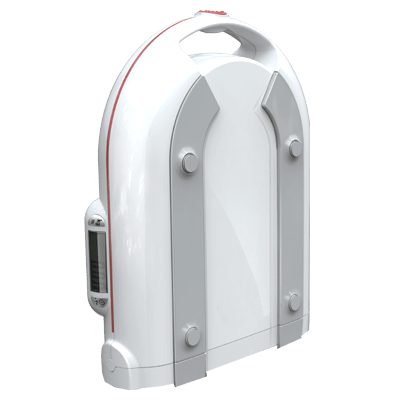 The indicator is integrated in the baby scale and provides a simple operation to switch on/off, zeroing or taring. The baby scale has an eco-friendly switch-off, which results in a long battery life. All baby scales offer a so-called HOLD function, with a stable weight display is guaranteed even with restless babies. Even at very restless position of the child, the eight-point weighing system always guarantees a precise weight determination, which is complemented by a very good readable, large digits display. Related links to "Baby scale SP 8320"